I have a problem with this in that you are comparing Franks past of money laundering with the Petters crime that Frank was a victim of also. 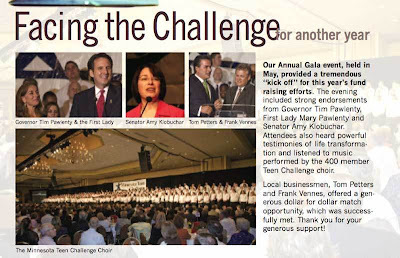 Frank invested personally with Petters as did Teen Challenge. If Frank was part of the crime don't you think he would have been charged also. I find this article has convicted him. Petters lied and duped many people, how many of the people at Sun Country, Polaroid, and Petters group are giving back there paychecks. Frank made his money off of commission as most investment brokers do. If he is guilty let him be charged if not stop crucifying him.